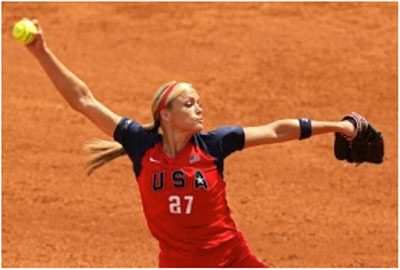 September 5 - America's Jennie Finch, one of the most successful players in the history of the sport, has become the latest advocate of the World Baseball Softball Confederation (WBSC) campaign to get the bat-and-ball sports back on the Olympic sports programme. "Both baseball and softball are global sports, there's over 65 million participants in them all over the world, but I do feel that putting us back in the Olympics would allow us to compete on the world stage once again, and that would mean so much for baseball and softball. "We're seeing athletes from all over the world come in and play college softball and get their education paid for, and there's the dream of playing for your country, and in the professional leagues all over the world. "When you're a big sport you get the funding and the support from your country, and when we were dropped, that funding was reduced a lot, and that has hurt our sport tremendously in so many ways. The WBSC was inaugurated in Tokyo this April, and since making the shortlist of three Olympic sports in with a chance of being included in the Games from 2020- along with wrestling and squash- back in May, momentum has been building behind the Play Ball 2020 campaign, and Finch believes that softball's brother sport has added tremendous value to the bid for re-inclusion. "The shorter six-day competition will hopefully get the world's best players from baseball to play from the Major Leagues, and we can share a venue now where in the past we were in two separate venues, which I think is a major highlight and improvement. "It's obviously been established for a longer period of time and the success of the Major Leagues and the World Baseball Classic prove that there is a place for it." As WBSC officials spearhead the PlayBall 2020 campaign at the 125th IOC Session in Buenos Aires looking to gain vital votes to win the race for inclusion to the Games, where they will discover their fate on Sunday (September 8), Finch also opened the door for a role in the USteam should they gain re-election to the programme. "I would love to be involved in some way, shape or form," she said, mirroring the views of Japanese captain Yukiko, who also confirmed her wish to be involved in the 2020 Games if softball is on the programme to insidethegames at the World Cup of Softball in Oklahoma this summer. "I don't think I would be playing, but I look forward to the future and a bright new start for our sport. "I would love to be involved in any which way I could, and I plan to be involved if so.